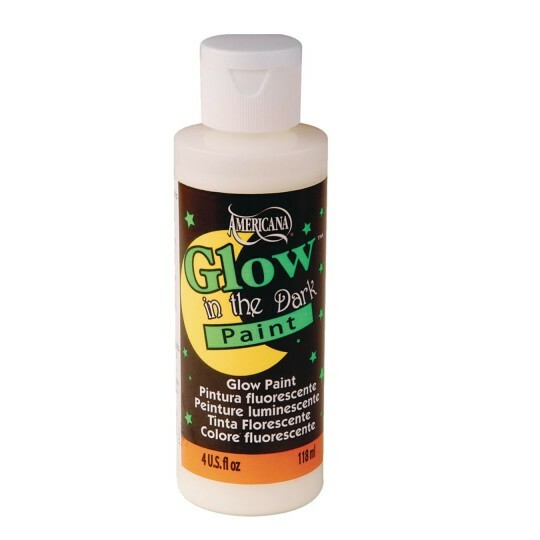 Use this cool paint to create high-energy glow-in-the-dark effects on fabric and craft surfaces. Paint stars and moons on the ceiling, add to light switches and Halloween costumes as a safety feature, paint luminaries for walkways. Paint one or two coats onto the painted surface and it will glow in the dark. Non-toxic and washable. 4 oz.